Undercarriage corrosion is a huge problem in fleet maintenance. 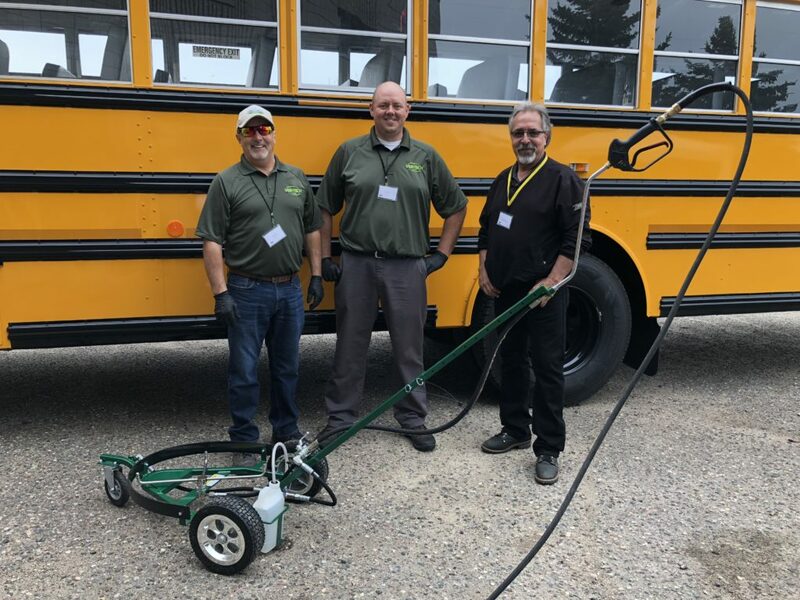 Buses, trucks and other large vehicles exposed to road salts and dust suppressants require costly repairs and down time due to damage from magnesium chloride and calcium chloride found in these products. A simple way to combat corrosion is to incorporate Salt Shield into daily routine maintenance. Salt Shield has been independently tested and proven to remove road salts more easily than typical large vehicle detergents. So what’s the best way to get Salt Shield to your undercarriage? 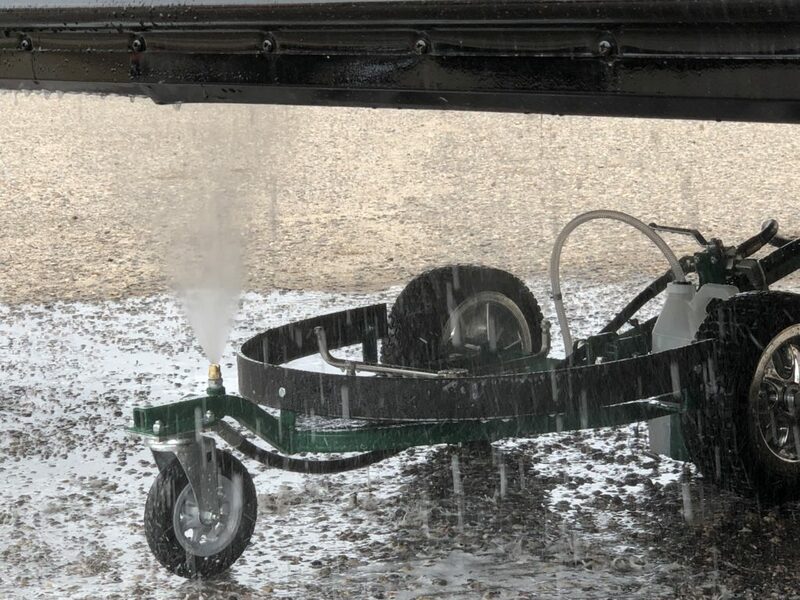 That’s where Matt Sathre, VTL field representative, looked at available undercarriage cleaners and thought “we can do this better.” With Matt’s input, Ver-tech Labs developed the revolutionary Salt Gator. The Salt Gator is ergonomically designed and allows the user to easily apply Salt Shield and rinse the undercarriage of large vehicles. Protecting the average large bus takes about ten minutes. Apply Salt Shield to the undercarriage, rinse, reapply Salt Shield for protection. 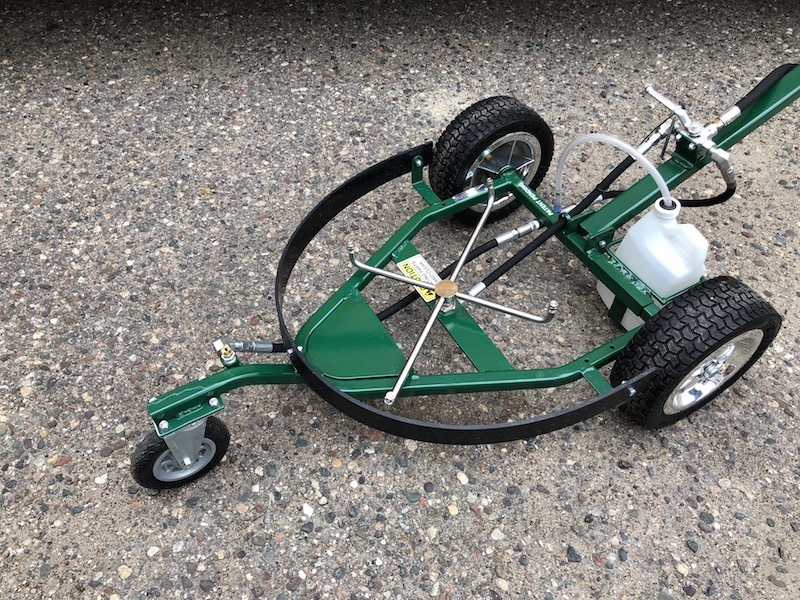 Easy to use Salt Gator allows cleaning from one side and the large, no flat wheels ensures smooth rolling over uneven surfaces and grates. The Salt Gator is currently available by special order only. The Salt Gator will be available for purchase on our online store this summer. 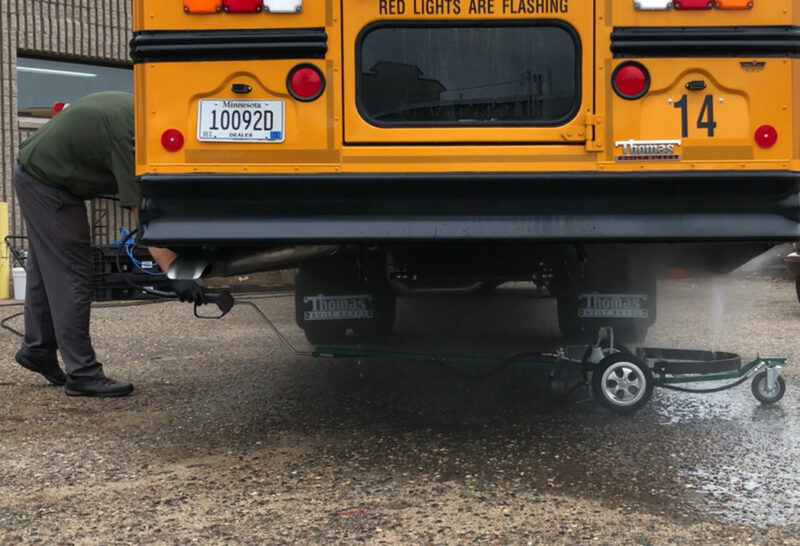 The Salt Gator allows you to clean the undercarriage of a large vehicle, such as a bus from one side. With the flip of a lever, Salt Gator dispenses Salt Shield where you need it.